Azurite is an inexpensive greenish blue that is extremely stable under normal conditions and has chemical similarities to the green pigment malachite. Its greenish tints become more intense when mixed with oil. 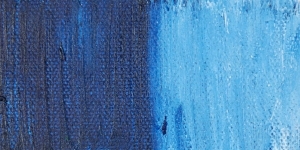 A gentle heating of Azurite produces the deeper blue pigments used in Japanese painting techniques. 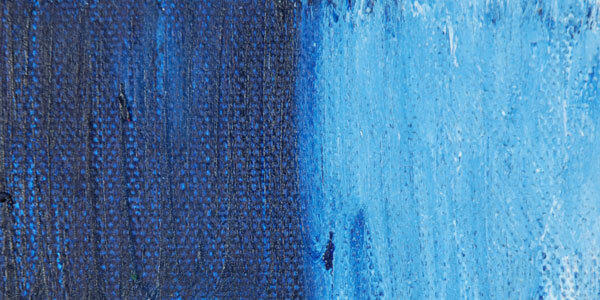 Azurite has good permanence in oil and tempera media. It is unaffected by light, though it can darken if exposed to sulfur fumes. Azurite is highly toxic if ingested and moderately toxic if inhaled. Azurite gets its name from the Persian word lazhward , meaning blue . It has been in use since the 25th century BC, during the Fourth Dynasty of Egypt. Azurite was the most important pigment in European painting from the Middle Ages to the Renaissance, though it was often confused with Lapis Lazuli and overshadowed by Ultramarine. Azurite was the characteristic color of the sky in Renaissance paintings, but was replaced by Smalt in the 17th century and Prussian Blue in the 18th century. Because it is toxic, and because the hue can easily be produced using other pigments with desirable properties, use of azurite has become uncommon. Azurro della Magna, Blue Bice, Blue Verditer, Bremen Blue, Chessylite, Mineral Blue, Mountain Blue.